We provide home-owners and business owners with a reliable, safe and cost effective solution combining both traditional window cleaning skills and new window cleaning technologies. When you hire our team as your residential window cleaning specialists you are getting so much more than a window cleaner. We are a full service property cleaning company that will also clean your gutters, conservatory, facia, cladding, patio, even your carpets and upholstery. We have been serving the South East and South West London area since 2005 and have a list of satisfied clients that are far too many to count. We are pleased to provide references to recommend our professionalism and the quality of our work. Our technicians use only environmentally friendly products and are guaranteed to meet your satisfaction or we will perform the work again for free. There is absolutely no risk for you to try our services. Your satisfaction is our first priority and your repeat business and referrals are our goal. It is satisfied customers like you that have driven our success and we realise that fact today more than ever. For residential window cleaning call now 800 1223 440. 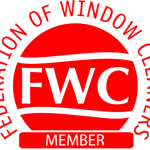 We will provide you a free estimate for any window-cleaning project. Gutter cleaning, although not the mainstay of our business is a very important part of what we do, to offer a complete cleaning service to our customers that we value so much. All gutters accumulate dirt and leaves over time and this can be a real problem if they are left too long and become blocked up. Most home-owners or business owners do not get their gutters cleaned on a regular basis and only call a professional gutter cleaning company when their gutters become blocked. We offer regularly scheduled gutter cleaning in the autumn, early winter and spring to keep your gutters running free and keeping excess water away from the building where it cannot pose a thereat to the integrity of the structure. Do not risk water intrusion that can damage property and belongings. Call us today and keep your home or building safe and dry all year round. We use the Sky Vac™ gutter cleaning system, which is a new and safe way to clean high level areas, which normally are only accessible by using ladders. The Sky Vac™ gutter cleaning system can be operated from ground level using very light carbon fibre poles which can reach up to 3 storeys high. The Sky Vac™ system utilises a guided camera system, which enables our operators to take a look inside the guttering from the ground. We always use the ground level camera to show our potential customers what the problem is with their gutter. In most cases it is purely a long-term accumulation of leaves, dirt and other debris that is causing the gutter to become blocked. You can trust CleanCo with your business. We understand how important it is to make the right impression, and we’re experts at providing careful, reliable cleaning services for a wide range of commercial sectors including property, retail and factories. We clean all types of windows, guttering, facia, cladding, carpets and upholstery. Large or small all our contracts will receive the same attention to detail and will reflect not only the pride we take in our work, but the service we provide. As a value-for-money independently run business, we can usually beat other window cleaning quotes. 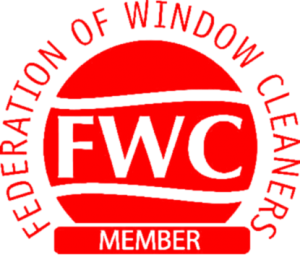 Our professional window cleaners are available all around the South East and South West London area. No matter how dirty or stained your soft furnishings are, we will use our extensive professional experience to give you the best possible results. Our cleaning technicians are polite, fully trained professionals who can remove stains left by tea, coffee, wine, mud, soot, bodily fluids, and all the little spills and accidents of modern living. Our staff will help to move your furniture if necessary! We can also extend the life of your treasured furnishings and carpets by adding Scotchgard protection and re-protection to prevent future staining. The solutions we use have been given the green stamp of approval because they are environmentally friendly. To make things more convenient for you, we will aim to arrive at your home or premises at a time that suits you best. CleanCo specialises in pressure cleaning services e.g. driveway and patio cleaning, pressure washing, driveway sealing, mono-block and, slab cleaning, patio block paving, graffiti algae and moss removal, step basement cleaning and path refurbishment in in South East and South West London. We are fully insured and use the latest and safest products available on the market today. CleanCo takes pride in offering the best services to our customers and ensure we leave every customer completely satisfied. It’s autumn … when the days grow shorter and the leaves pile higher. If you need help with any gardening or cleaning services, then why not contact the professionals at Cleanco. We take pride in everything we do – from grass cutting, strimming, lawn care, removal of grass cuttings and leaves, pruning, shrub and plant care, hedge cutting, weeding, and mulching beds and borders. And if it’s cleaning you’re after, then let us take care of your dirty patio, decking, or moss-covered paving. We can also help with your common areas like staircases, carpets and windows. We do it all … and we do it right! We pride ourselves on being the best! Our work is backed up with our “Satisfaction Guarantee” - if you are not satisfied with our work for any reason, we will return and do whatever it takes to exceed your expectations.